HYPE MAGAZINE... Featuring Young Gifted In This Months Issue!! Click Link To View Article..
Ice Cube announced Tuesday (Oct. 30) morning that his tenth studio album Everythangs Corrupt will release on Dec. 7. Knine K comes with the brand new visual "Up Next" keeping momentum on his side in the fourth quarter. NBA YoungBoy Hops In The Crowd After Fans Toss Things On Stage During His Performance. The outspoken pro-Trump rapper Kanye West complained on Tuesday that he has been “used” and has decided to leave the political world to focus more on his music and design work. The explosive feud between Cardi B and Nicki Minaj may have now come to a tentative conclusion, but the drama made casualties out of a couple of fashion brands along the way. A judge has granted Beyoncé‘s request to cancel her Nov. 1 hearing with clothing brand Feyonce as they are in settlement negotiations, per court documents obtained by Page Six. Artist Spotlight- YL Ques Releases New Album “Born to Win” to Inspire Black Youth. 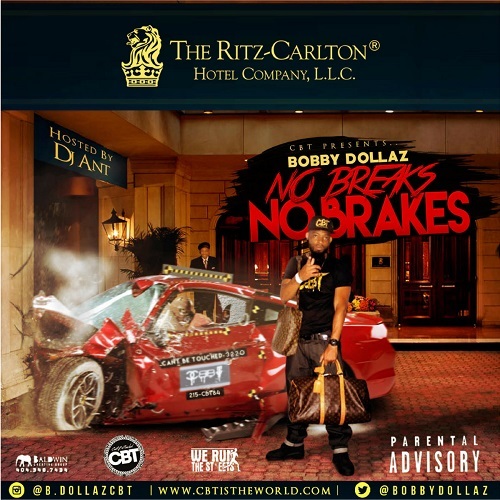 Fresh off a federal bid CBT’s own Bobby Dollaz releases “No Breaks No Brakes” an ode to his non stop work ethic. Comprised of witty lyrics and gritty street tales this is a classic street mixtape to motivate the streets. Nicki Minaj tells Cardi B & Hennessey to stop talking about her and leave the Barbz alone. She offers $100,000 for video footage of Rah Ali beating up Cardi B.
Seminal Oakland rapper Too $hort’s new album “The Pimp Tape” drops Nov. 9, and he celebrated at the Sapphire Gentlemen’s Club in New York. Ja Rule heard about the stunt that 50 Cent pulled and he's not happy. The geriatric beef is heating back up after Ja responded to 50's ticket prank with a series of social media posts. Kenya Moore revealed Saturday she and husband Marc Daly may welcome their first child sooner than expected, due to a pregnancy complication. The late Aretha Franklin’s attorney, Gregory Reed, wants her estate to pay up on overdue bills. Reed, who claims to have represented the star for a number of years, says he’s owed roughly $54,000 in overdue bills going as far back as 2012, according to TMZ.